Introducing Sarah Swan who has a passion for reading books, books and more books, and enjoys a healthy bit of rambling about life too! Sarah has been reading books from a very early age and before she could read, she was always flicking through picture books. Sarah is convinced that she was born with a book in her hand! Sarah reads a wide range of genres and is willing to try most genres once, but she does keep going back to both contemporary and historical fiction more than anything else. She also loves taking her own photographs and sharing them with friends and family. Books are a big part of Sarah's life and as well as running her own blog so she can share her love for books, Sarah will be sharing her top reads on The Riviera Woman. "If you would like to use any of my photographs, you can contact me and also if there is a book you would like me to read and review, let's talk." I am thrilled to be sharing my review of Linn B. Halton’s latest novel A Greek Affair with you today. Thank you to Rachel Gilbey at Rachel’s Random Resources for inviting me to take part and to Harper Impulse for an ecopy of the book. More than just a holiday romance? Her daughter, her job and divorcing her untrustworthy ex are Leah’s main priorities. She isn’t really bothered that her life might be missing a few things. But after winning a prestigious travel blogger award, she’s inundated with offers to review glamorous holiday destinations. Lying around drinking exotic cocktails and being paid for it! What could be better? When I heard that Linn B. Halton had a new novel coming out, I couldn’t wait for it to land on my Kindle. I read The Secrets of Villa Rosso back in July and adored it (read my review) so I was hoping that I would feel the same about A Greek Affair. I am delighted to say that it did not disappoint! A Greek Affair is a contemporary romance novel which follows 31-year old single mum and travel blogger Leah and her 9 year old daughter Rosie as they transition through an important part of their life after Leah wins a prestigious blogger award and the offers start rolling in. I warmed to Leah instantly. We are around the same age and both have interests in photography and blogging. 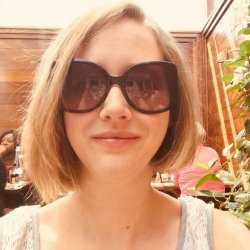 I think it is worth highlighting that Linn B. Halton illustrates very well how much time and effort it takes to run a blog, let alone to make it award winning. As a blogger, it was endearing to read. Rosie is just a delight and very mature for a 9 year old. I also adored Harrison, who Leah meets on one of her assignments. Every woman should have a Harrison in their lives. You’ll have to read the story to find out what I mean by that! Linn B. Halton’s writing is so fluid that it makes A Greek Affair an easy read and her description is immersive – both of which I know are not easy to produce. I read this story in cold, rainy December and was instantly transported to summer in Athens, sitting by the pool, visiting tourist sites early in the morning to avoid the heat of the midday sun and then chilling in the shade whilst sampling the delights of Greek cuisine. I don’t know what it is about Linn B. Halton’s writing but as in The Secrets of Villa Rosso, there were occasions where her words jumped off of the page and touched me deeply. Something in me really resonates with Linn’s writing and I love that connection between a reader and writer. This story goes so much deeper than the cover and blurb suggest. It’s fabulous and I am very much looking forward to reading Linn’s next book. A Greek Affair was published by Harper Impulse as an ebook on 28 December 2018 and can be found at Amazon UK and on Goodreads. 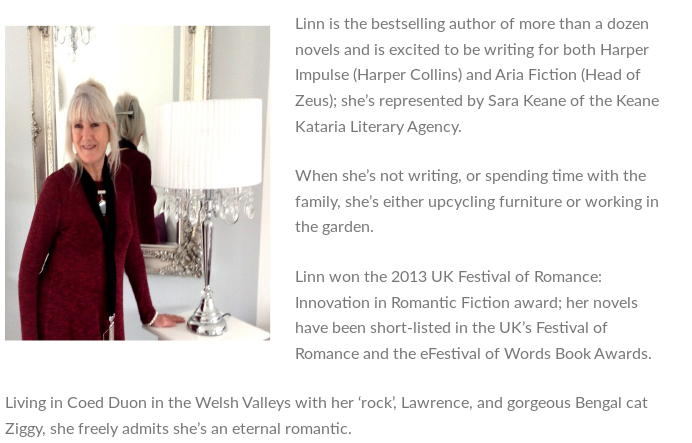 You can find out more about Linn on her website http://linnbhalton.co.uk/ and connect with her on Facebook @LinnBHaltonAuthor and Twitter @LinnBHalton.